Porsche is shifting its focus beyond horsepower and handling to services such as finding nearby parking spots and real-time weather information that warns drivers of icy roads. The goal is for so-called digital services to generate at least 10 percent of annual revenue in the medium term, the automaker said Friday. That essentially means that a buyer of a $89,400 911 sports car would yield at least $9,000 from technology-based offerings. Porsche founded a unit in Ludwigsburg, Germany, last year focused on creating digital services for cars such as the 911, four-door Panamera sedan and Cayenne SUV. It also opened a technology lab for developers in Berlin and acquired stakes in venture-capital fund e.ventures and parking-service provider Evopark. The carmaker already offers the Porsche Connect mobile application, with features including navigation, real-time traffic data and remote vehicle monitoring. “While the focus of our research and development investment has until now been almost exclusively on developing vehicles, we will spend significantly more on creating new digital services in the future,” Porsche Chief Financial Officer Lutz Meschke said at a press conference in Stuttgart. The company will be “forced” to generate much more in sales from the services as the industry adapts to new technology, including autonomous driving, he said. 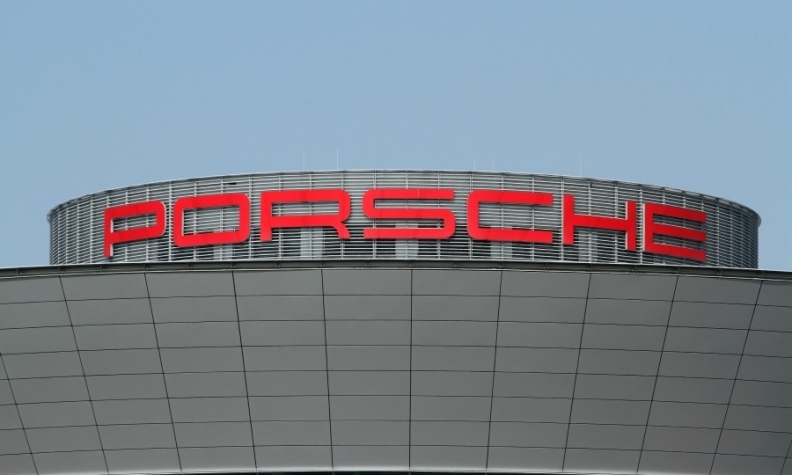 Porsche’s success is vital for Volkswagen to stem the financial fallout of its diesel-emissions scandal and generate the funds needed for changes in the industry. The brand posted record earnings, revenue and deliveries in 2016, and operating profit amounted to 17.4 percent of sales. Porsche forecast Friday that vehicle sales and revenue will rise slightly in 2017 while, as long as currencies remain stable, operating profit will about match the 2016 figure as spending on new technology holds back earnings growth. As part of a push to expand its model range, the brand unveiled a station wagon version of the updated Panamera this month, along with the GT3 racing variant of the 911. It’s also considering coming out with a coupe-style version of the Cayenne. Development of its first all-electric sports car is “proceeding fully in line” with the planned rollout in 2019, CEO Oliver Blume told journalists. To free up funds for the electric-auto and digital projects, Porsche plans to cut production costs per vehicle by 15 percent, Blume said. Through closer cooperation with Volkswagen’s Bentley and Bugatti luxury divisions, Porsche expects to reap joint cost savings of 100 million euros ($107 million) a year as of 2018. The brand’s factory in Leipzig, Germany, is preparing to build the chassis for Bentley’s Continental model, which shares underpinnings with the Panamera, and it could add production for other models as well. The new division in Ludwigsburg currently has about 100 employees, and the figure will rise to as much as 500 as it adds outlets in Asia, Israel and Silicon Valley, Meschke said. Digital products will account for a “significant double-digit” percentage of Porsche’s revenue, he said, declining to specify a figure. In January, the CFO estimated the operations could generate 30 percent of sales in seven years. They’re likely to account for 10 percent of Porsche’s research and development spending over time, he said Friday.